A dream will often present itself as a metaphor for something the dreamer is dealing with (or failing to deal with) in their waking life. For the band’s new song, “Hounds,” frontwoman Nabi Sue Bersche of Ontario-based Ellevator was inspired by a recurring dream in which she’s chased by wolves or wild dogs. They bite at her heels and keep her from being able to stop and ask for help. She hears their whistles in her head, and they drown out the voices of others who need assistance. She has had this dream since she was a child, and it’s all-consuming. This isn’t just a personal fear — it seems to be a strong indictment of our current social condition. 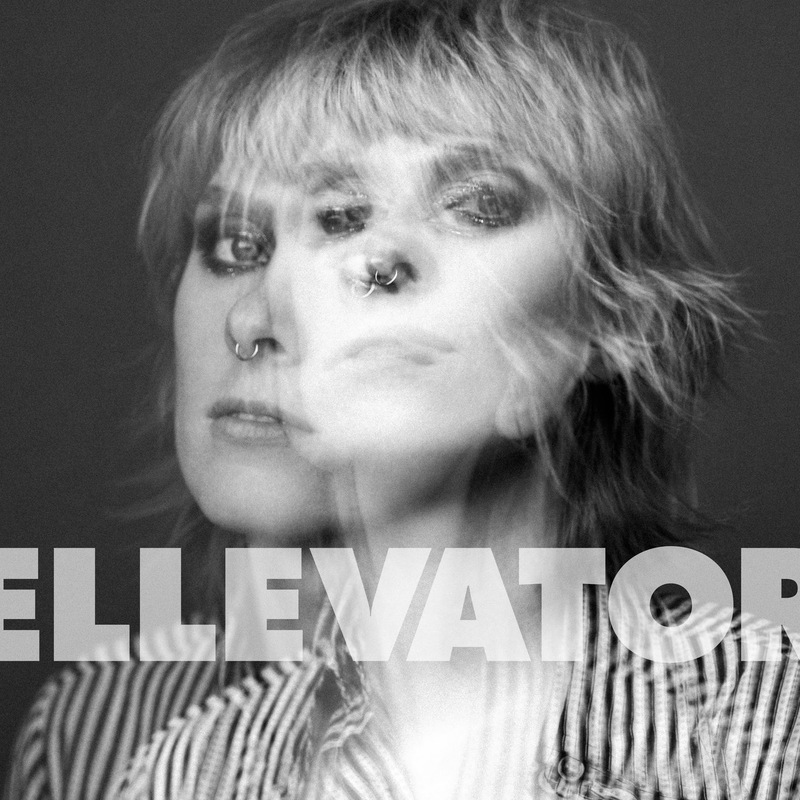 Ellevator releases their self-titled EP on April 20 (Arts & Crafts). It was recorded in Hamilton with Michael Keire (Arkells, The Dirty Nil, Wildlife). They’re currently on tour to support the new music. This has included dates with Our Lady Peace and Matthew Good, and from April 12-26, they’ll be supporting BANNERS. They’re also headlining in NYC at Pianos. 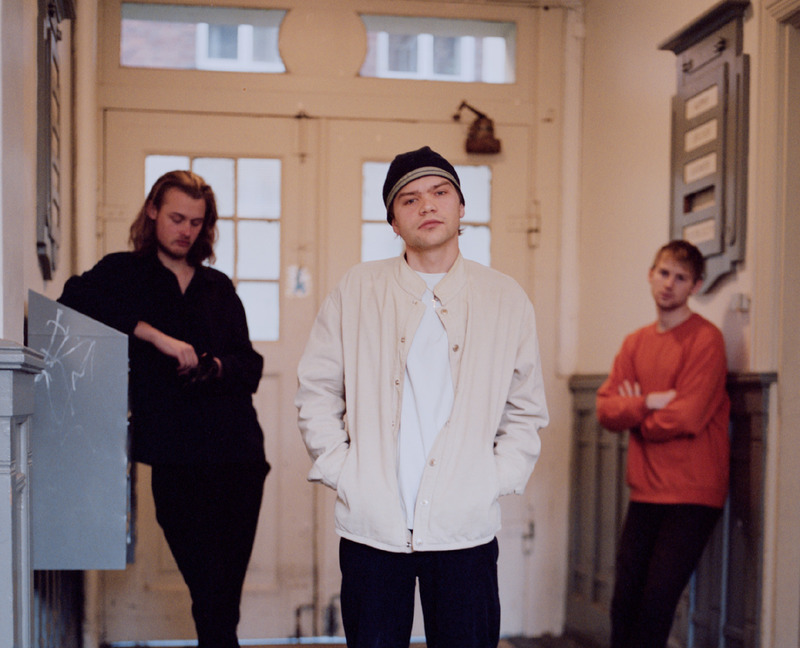 Danish trio Marshall Cecil, in their music and visuals, struggles to find strength and solace in life’s confusing and disturbing reality. Their video, “Going Up / Going Down,” the band’s first track and video, begins with a violent act and then, from a backdrop of churning water, a metaphor for emotional turmoil, our protagonist moves through a world of crazed, dizzying scenes. It feels like a search for self, and a road leads from solitude to the company of friends. Flashes between alienation and inclusiveness is a powerful statement of life’s dichotomy, reflected as well in their music, which has a driving beat that’s matched with a gentle ambiance. The video was created in collaboration with Céleste Nshimiyimana & Jacob Schill, with cinematography by Frederik Marbell, Céleste Nshimiyimana & Jacob Schill. Marshall Cecil will be performing at the Spot Festival in Denmark, May 9-13, and at Roskilde Festival, which runs from June 30 thorugh July 7. At the Spring Equinox, they were headed to Naples to work on new music. Why am I emotionally attached to all this junk? There’s a painted Japanese vase that was broken and repaired, the cracks still plainly visible. A tackily painted Asian tin container. A cast iron statue of an Egyptian cat covered in a sickly green powder that rubs off on your hands. Glittery and garish, 2012 New Year’s glasses. A plastic wind-up angel that moves her wings and glows in the dark. A new age sun, moon and stars tealight candle holder. A pair of long wooden sticks that hold small, thin candles. A round container that houses a collection of shells, stones and driftwood collected from unknown locations. All of this once meant something to me, I’m sure of it. Some items were cherished gifts from friends and family. But now? It all feels like tacky kitsch. And yet, I hold and observe each useless dust collector, wondering if I would miss it. It can’t be the item itself. Each one is of dubious value, in the scheme of things, and I’m not even that fond of them now. However, I do feel an undefinable sadness as I take each one off the shelf of my fireplace mantle, adding it to the “sell” pile for the planned Connecticut estate sale. There are other things, too. Like handmade Christmas ornaments from a casual acquaintance, with glitter and plastic fake jewels that look chintzy in the late afternoon light. A gaudy gold painted clam shell. Once magical, they’re now curious, vaguely unpleasant oddities. Clearly, I’ve been through a major shift of consciousness in recent years, despite everything feeling horribly stagnant. These things haven’t changed, no, but I have. I’ve outgrown my belongings, outgrown my life here, and it is long past time to move on — if not physically, then at least mentally, emotionally and spiritually. But such reluctance! Does the inmate hesitate when the prison door is opened to his freedom? Of course not! And yet, here I am with my broken, torn and tattered past, unable to let go.